Last week I went to my Fort Lee High School reunion. I know many folks who hated their high school experience, so I feel very fortunate that I loved my high school years, and have many great friends from Fort Lee. I am so lucky–I have friends I’ve known since kindergarten, and still keep in touch with. I always felt that my class was full of very creative, really fun, and smart people. Everyone seemed so genuinely happy to see each other, and I was touched by how much warmth and kindness and fun was present. I didn’t make that many photos because I was very busy talking and dancing. I love being a party photographer, but this time it was more important to me to be in the party. I got a huge kick out of dancing with my high school friends because when I was in high school I was totally inhibited about dancing, and I never, ever, EVER danced then. Now, as you many know, I can’t stop dancing. My friend Marvin said, “you’re dancing even when you’re standing still.” I liked that. Got to keep moving! 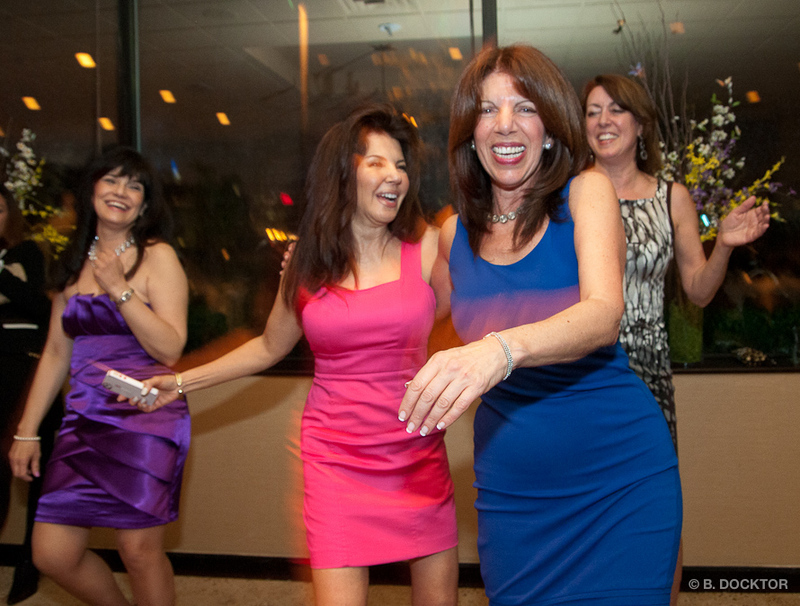 Here are Debbie, Sophia, Nancy and Joanne shakin’ it up. Hudson Valley party photographer B. Docktor specializes in capturing the spirit, emotion, and energy of parties, weddings, fundraising events, galas for non-profit organizations, family gatherings–anyplace people are getting together to have a ball! I’d love to join you at your next event–call me at 518-329-6239.